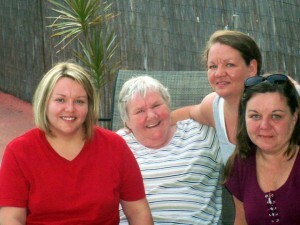 UPDATE: Rhonda will be giving her new cookbook to one of her sisters who are in this photo that we just received. Rhonda (in the tank top) is single and lives in Georgia. She is a cat lover and has 3 of her own. It turns out she has a lot in common with our previous winner, Marlis, who had attended tapings of my show and works at Walmart. Rhonda has also been to my talk show tapings and she also works at Walmart. How about that! 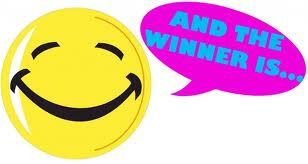 3 Comments on "And the winner is…….."
oh wow Rhonda and I both won!! This is so exciting I can’t wait to try some of these great recipes, thanks so much!